Going about your day-to-day routine it’s easy to overlook safety hazards around your home. Here are some things to keep in mind when creating an accident proof environment. 1. Out of sight, out of hazard: Everything seems to have a cord when it comes to things around the home. Lights, computer cords, games, appliances, etc. Having these cords lying around can be extremely dangerous. You can trip over them, and sometimes, they can even cause a fire! When not in use, store cords and extensions. 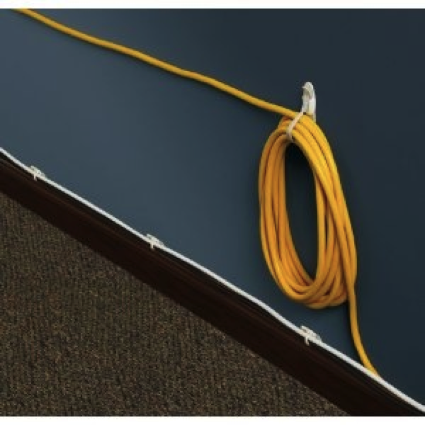 If the cord is in constant use, find an efficient way to roll-up the cord and keep away from any traffic. 2. Better safe, than smoky: One thing that many homeowners overlook, is their smoke detectors. Sure, they’re extremely noisy when they run out of battery, but it’s for a reason! 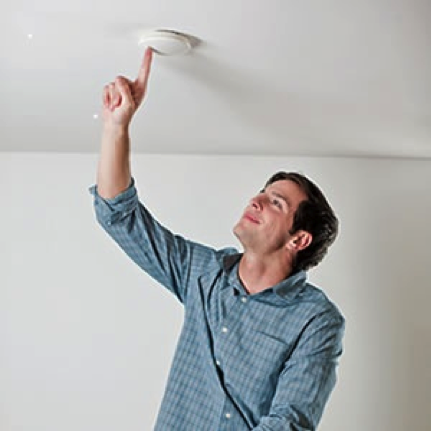 Ensure that your smoke detector alarms are working properly and that the batteries are replaced periodically. 3. Terrible Toddlers? : We all know that kids are curious, especially toddlers. Keep high windows locked so that children can’t fall out. 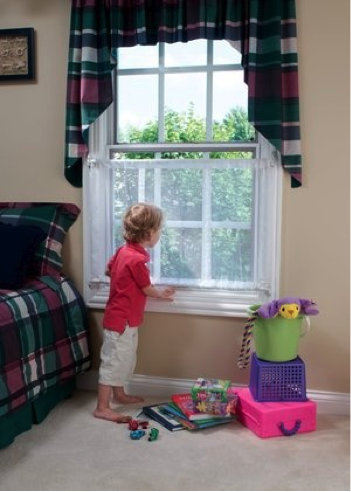 If you own a home with easy access to windows, purchase a ‘mesh window guard’ that will keep the youngsters safe. 4. Easy does it: Practice ways to escape from your home in case of an emergency such as a fire. Plan at least two ways to leave any room of your house, and make sure everyone understands the plan. Arrange for helping the very young or anyone who can’t move on his or her own. How do you keep your family safe? Share with us your precautionary measures!